Mr. Johar! Mr. Johar! It was Big Bird calling my name; I could see the bright red mouth when it opened its yellow beak. There was clamor, unusual commotion for the calm Sesame Street Show. The noise became tense, and louder. Big Bird continued calling my name: Mr. Johar. Mr. Johar! I woke up and the pretty nurse was still looking at me. “There! We have you back,” she said, with a big smile. This time something wildly pounded inside my chest, I saw wires of different colors stuck all over my body. Beads of sweat rolled over my forehead and cheeks; my heart was racing, faster. The nurse smiled again. Then something inside my stomach bothered me. I pointed to a bucket on the table and the nurse brought it over: Hoooouuuugh! Trying to push the thick yellowish, acidic thing out, I almost threw up my guts. The nurse pierced my wrist vein with the world’s sharpest syringe and in seconds everything looked blurry, and I went to sleep. Thereafter, I stayed seven days glued to a bed, hallucinating in a place they call ICU, and three more days in a less scary room. As you might have imagined, heart attack or panic attack, I cheated death and now I am back, clean. Detoxified. I gave up on the “Knot on my life”, the stinky stuff that was glued to my lips for decades. Such miracle is a result of the prayers of good people, (Dua’a al Saleheen) and all of you good people out there, thank you for your prayers. 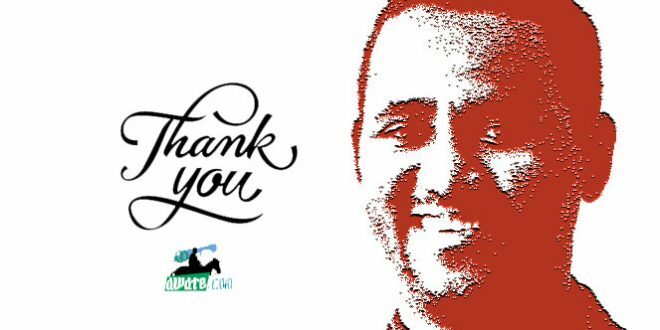 Thanks to the Almighty, and thanks to you all. I was feeling guilty for not reporting about my last trip to Addis Ababa and Nairobi in November 2015. A little drama came in the way and my report was delayed. Then, after a few weeks I had to travel to Southern California to attend the GEAN meeting, see my son off on his trip to Africa for the final leg of his masters degree program, and I couldn’t make it back home from my travel in time—it took me 13 hours of grueling train ride, one more hour of driving, and I slept like it was my last sleep. The report was the first thing I wanted to write, but I couldn’t. 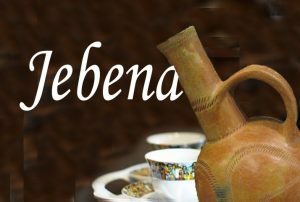 A day earlier I had talked to Yohannes Tikabo who wanted permission to use a Negarit edition of “Scent of Lemon: An Example Of Refined Eritrean Song” for his website. Okay, that respect of copyrights is simply an inspiring decency the Internet is not used to. I had planned to attend Wedi Tikabo’s New Year concert in Oakland but unfortunately I couldn’t make it—I spent the night throwing up and being poked by a million sharp needles in my chest, from the inside. Then when I was about to pass out, my daughter drove me to the Emergency Room from where they immediately hauled me away in an ambulance, to the Cardiac hospital, and straight to an operating table, where I learned a new word, and a cure: stents. Three of them on three of my arteries. It was nothing serious, only someone had to shave my groin and I was not in a position to object but swallow my pride. Humiliation! Now I am sure you will excuse me for the delay of my Africa travel report (NB: I was bitten by the Western ignorance bug; Africa is one big country, not a continent!) But honestly, I really do not know what to write about Nairobi. I stayed in one hotel for a day, and a dinner in an Abyssinian restaurant, nothing special about that. The venue was in a remote village, it was fine, but no adventure, no lions or elephants, just trees and a huge building in the middle of nowhere—I can’t describe it better than a Safari video on National Geographic Channel. My eyes popped out: Yes! Piece of cake, I mean piece of spaghetti, for me. All the contestants except three tried to eat the spaghetti with spoons leaving the forks idle. They tried to load the spaghetti on the spoons and when it didn’t work, they used their fingers as forks and tried to win, over an Eritrean! Uffff, they never give up! Obviously they lost. And since then I have been praying they do not react by invading Asseb. 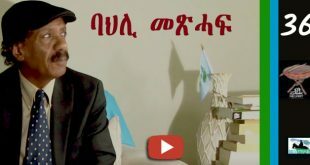 You know, there are a few humorless Ethiopians who would threaten to invade Asseb for trivial reasons—for losing a video game, a school basketball game, any game to an Eritrean, even when they lose a spaghetti eating contest, the first revenge that comes to their mind is, “We will retake Asseb”. It is too bad for Eritreans, we cannot unlearn what the colonizers taught us, including a few other things, though I wish we could unlearn racism, arrogance and empty bravado. But why a spaghetti competition, and why involve me? I am not sure, but I suspect it is a an attempt at a prank by a few of my Ethiopian friends who were so sure they will win. My advice to Ethiopians: stay away from spaghetti and tagliatelle. Do with other, easiet to handle types of pastas: Penne, Macaroni, Rotini, Farfalloni Ravioli, and many non-spaghetti-like long pastas. 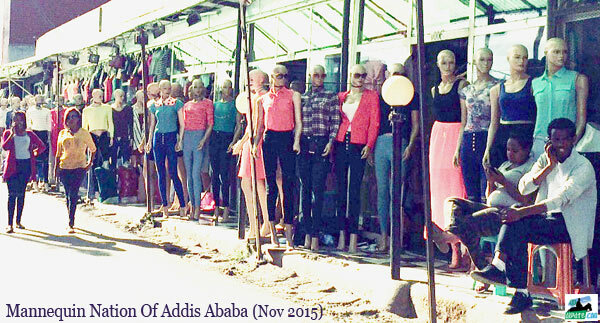 Before leaving for Nairobi, I went to the city streets to meet the bona-fide Addis Ababans: the mannequins. And now I am almost certain why the population of Addis Ababa is increasing exponentially; I suspect they counted the mannequins in the last census. So, from then on, unless I see a breakdown of the population—Diaspora people and mannequins—I will not take the census numbers at face value. Interestingly, all the mannequins are frenji, mostly blonde. At any rate, I hugged the living, paid my respects to the dead mannequins, those that died since my last visit, consoled the ones that were amputated and now relegated to the dark alleys and dumb storage spaces, the poor homeless mannequins. It was late at night when I bid them farewell, until next time: sleyachhu b’enba! On the way back to my hotel I observed Addis Ababa has developed an impressive city ordinance; at least on things that matter: pavements and walkways. If I was not afraid some touchy-feely Ethiopians will be mad, I would have told you about the height of the walkways from the street level: one foot high on one side and 6 inches on the other. Of course, who needs standards as long as glass buildings are lined up on both sides of the street—and the limping pavement. I would have also told you of the decorative manhole covers that stand one foot above the street or walkway levels, always prominent like a trophy. These were the big achievements that really impressed me. It must be that the fine architecture of the sixties is banned together with the motif of the Axum Stelae, Lalibella, Harer—today’s architects are infatuated with monotonous 15 floors, 60 apartment glass buildings with parking space, enough for only six cars! For instance, I stayed in a 150-room hotel and it can boast of a parking space for seven cars only—including the street side. Maybe they are discouraging the use of cars, maybe people should use the light rail, even in places the rail has not reached yet, maybe it is environmental loyalty. I Do Not Do Boletika! Fifteen years ago, days after awate.com was launched, a relative called and chastized me for not staying away from “boletika”. I had some respect left and I reasoned out with him. He wouldn’t understand my position but kept patronizing me: “look after your children, look after yourself, worry about your work, etc.” I was not in a mood for a fight and tactfully I ended the conversation. Since that day I talked to the relative only once. Over the last few weeks I received so many Get Well wishes from friends, colleagues and readers in text, phone calls, and emails—I am grateful. I wish I could reply to each and every message separately, but as you can imagine, the numbers are overwhelming and though I have tried to do so, I am certain I will forget to reply to a few. This time, the messages were uplifting, “get well soon, you have an unfinished job and you have to reach the finish line.” Messages that reinforce the backbone, not break it. Messages that help you tighten the belt, not loosen it. I really appreciate the positive, encouraging, and patriotic messages. I cannot express my joy and gratefulness to all those who remembered me in their prayers, those who sent me Get Well Soon messages, called my family and friends. I also thank my dear friend Saleh Younis who acted as my chaperon for a week or so, controlling my phone. But Karma is bad: in a day or two he lost his expensive phone! I am elated there were no, “now you have done enough, get away from Boletika” type of messages. Naturally some people are genuinely concerned about my health and they actually advised me: ‘if you do not take care of your health you will not be able to continue to struggle.” I am glad that the unfortunate days of “No Boletika” craze are being replaced by assertiveness and, at least, understanding. On this occasion I would like to reemphasize the following: I do not do Boletika, I struggle for the freedom and justice for Eritreans. I believe in what I am doing; it is the right thing to do. 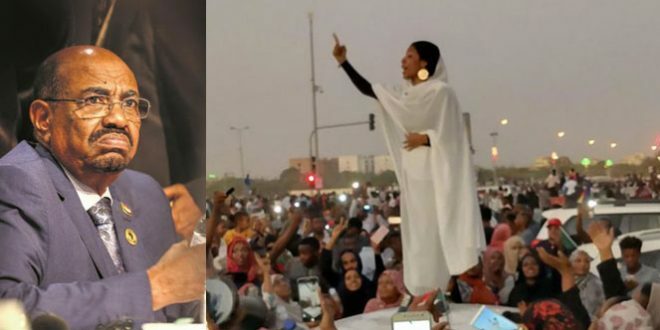 If every conscious Eritrean would do his part in the struggle, it would be much appreciated and it will hasten the end of the nightmare Eritreans are going through. Otherwise, please be careful not to weaken the resolve of those who are doing their part. And in advance, I offer my blanket apology to all those whom I offended in the past in this regard. Finally, the floods of messages made me worry: have you saved something for my eulogy, after a long time, InshaaAllah? Great to hear from you Johar. I could not stop laughing reading your article especially the spaghetti contest. well, I went to Ethiopia my tertiary education (we were part of them or ? ), It reminded me how most of them hate the spaghetti day, but was one of our favorite besides Sunday meal. You are not alone suffering from the phobia (let me call it ‘Eritrophobia’). You are lucky because you were assured the flight would not be via Eritrean air space. I had a friend who was flying from Khartoum to Johannesburg with Yemenia. Well, Yemenia would care but less to inform their ‘African’ passengers the flight route. From Khartoum they landed in Asmara to refuel and drop few passengers. My guy felt like he had malaria and was wet of over sweating. Luckily the security people came to the plane and cheeked at a glance without asking each passenger. He did not feel safe until they were airborne and landed in Sena. Nostalgia never faded and hope some miracle would come to change the lives of Eritreans at home and the diaspora particularly those who are able to visit home. I used to miss quote ‘nay poletica derfi’ as ‘nay olompic derfi”….’oletica is much closer to poletika….than olompic. All the best and hope you are fully recovered….. I am delighted about your quick recovery and about hearing your ‘voice.’ Are your senses of taste and smell coming back yet? You know the little pleasures life has to offer such as the smell of hot bread coming of the oven, the smell of boiling tea, the taste of clean water, yes, water. I hope to God I will someday have a chance to sit down with you and talk about how everything you say has something to do with me. Either it is something about me, or something I think about, or something I ought to have thought about but regret, etc… I mean everything! It has always been like that. Your observation of those endless mannequins in Addis is only the tip of the iceberg, but when you titled one of your books “Mariam was here,” you literally gave me my version of a heart attack (long story, but ‘tiwgaHmo’ expect a lawsuit from me someday). Soon after you launched awate.com, my friends and I use to joke around about what you will say next. Whenever you wrote something, my friends would ask me whether I read it and what I thought about it. On the occasions when I haven’t read it yet, I would ask them what the subject was, and I would casually state that you must have said such and such about it. I never failed! Last year when I was flying from Dubai to Addis, I was staring out of the window to an endless gray sky when a sudden terrifying thought came over me. What if there is an emergency and we are forced to land in Asmara? What if someone finds out about my asking Isaias’s head on a plate a couple of years ago? I just couldn’t believe my eyes when I read your version of similar panic. Your recent experience of sudden illness was a reminder to all of us why we shouldn’t take everything for granted. Saay said the other day something like “one more sign we are getting old is that we start every story with “many years age…” eHm, many years ago, I had a good friend who never stops talking as long as there is a human being nearby. She had perfected the art of ‘how to transition from one subject to another without having to exhale.’ However, lucky for us, she was cute, she had a very sweat way of telling stories, and we all loved her for it. One day when we were alone, with a sweet young girl’s anxious look, and one arm on my shoulder, asked me whether she talked too much. With absolutely no hesitation I replied ‘yes, but not enough.’ I was being very honest, but I got very lucky for those words to come out just right nonetheless. She laughed for what seemed hours. Some people are naturally gifted with their ability to serve others with ease. God knows you have done a lot, but we want more! You are one of those rare human beings who by the virtue of their decency demand and deserve the at most respect. Even when some of your friends occasionally don’t agree with some of your ideas or actions, the respect they have for you is however unmistakable. That is a rare gift. For lack of a better articulation let me just say that there is something strange about you and we want a lot more of it. Have you seen “Heaven Can Wait?” It is a 1978 comedy movie with Warren Beatty with an important message. I guarantee that you will enjoy it. Veganism is the way to go if you value your health and life. Numerous studies show meat and animal by products to be detrimental to health and are the major source for cancer, heart disease, diabetes and many other illness. I hope you will create a health section here in awate, to bring more awareness to the importance of a healthy diet (vegan). Why not? After all heart disease is one of the leading killers in africa and the number 1 cause of death in world. Your lucky to be alive God Bless. Welcome back. Rather terrifying to think you almost went to the other side, only to be turned back in belated cosmic recognition it was due to some error. I did not think it was this serious. I think you just elevated Big Bird into a metaphysical creature haha. In any case, I am really glad you decided to grace us with your presence for a while yet. Can you officially point what the Ethiopian PM said in your opponion of the sane magnitude. It’s not just a comment who made say if he was asked without knowing what to expect, like if this was aljazeera journalist. These interviews that he does are planned really well and the questions got clearance from his office / him way in advance. The journalist would never ask him this type of question. And he didn’t just give few seconds to respond but he want on and on for good 10 minutes. Its totally wrong even to mention this while he is still in power. When he talks he is not just speaking for himself but on behave of the country and the people. He can write about in his biography when he retires for example. Even if we look at our culture “mwut aykisesn eyu”. He sighted two people who are no longer alive to refute / coraborate this story. That’s is morally wrong. I hope the Egyptians would respond to this. This person is a liability to Eritrea as a nation, even I think to its future. We as in opposition should have only one purpose, to get rid of him. About a week ago a friend sent me a fake proclamation from the Mufti of Eritrea, I laughed about it as it was similar to another similar joke done in Egypt, but did not expect it to be picked up as a news item. Some will get too carried away and start spreading such rumor. Welcome gashé.So glad to see you alive and kicking. Wishing you many years of health and hopefully someday you will see your country. Health is very important in politics so to survive we have to take care of us,don’t smoke,drink water,eat three times a day,eat fruit,sleeping 8 hourly,call telephone to family once a month to Eritrea to reduce high blood tricks,walk before you go to the job,reading poetry,watching drama,documents film,play music,keep away from Eritrea and Ethiopia politic,not socialize with Weyane,stop loving money,laugh a lot and high,live for today and one day at a time,do not be afraid to die,hate to die slowly and so old,do not have a driving licence,cycling on saturday and think alone. 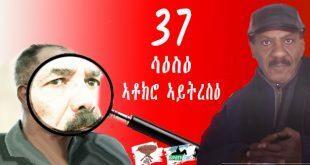 Setting aside the malicious intent, as well as the sick jealousy of the Eritrean dictator regarding the Ethiopian GERD project; there is one visible mistake in what he said. 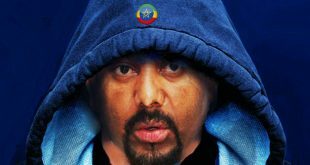 He says Meles Zenawi was the prime minister of Ethiopia in 1993, which is wrong. Meles became prime minister in 1995, after the new federal Constitution, before that he was the president of Ethiopia. You are right, a factual error, a further indication that the story is a malicious concoction to create discord and to undermine Ethiopia’s quest to lift itself from poverty by using its resources. Again pure evil and malice! I is a extremely sad for a man of this age and a leader of a country at that to show such malice towards people, his brothers at that. Even the most unscrupulous ordinary person does not go to that extent to inflict harm on his mortal enemy. Thanks Abraham for detecting the malice and jealousy of this ugly creature. I can’t fathom why a seating president of a foreign country would make such a bold and negative comments into an internal economic and development plan of a neighbor country which has no direct or indirect (an insignificant) consequences. Knowing what I know about Isayas Afeworki and his scheduled/ scripted interviews, this question was not asked accidentally. It was asked intentionally and his response was calculated and well planned. A normal preside would say “that’s for the Ethiopian people and Ethiopian leaders to comment. 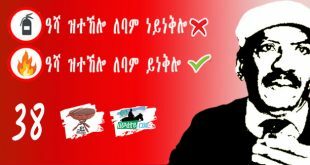 But we hope it will to the benefit of the Ethiopian people and the region as a whole. It’s early to say but if it makes economic sense we will consider to import power when it becomes operation for the mutual benefit of both brotherly people”. To me this sound a provocation and to creat future animosity and mistrust. They will not be any short of people who will repeat his statements like a parrot in the coming days. I hope the Ethiopuan leaders give him the deaf ears and ignore him. He is a pathological liar. I don’t want even to comment on the substance of his comment, with regards to the viability of the dam. Personally I think it’s a great achievement and it will make every Ethiopian and African proud. Here in Toronto they spend 2.2 billion dollars to build a subway less than 5 km long. 4.2 billion for that mega project is a burgen, well done. 25 years he has been in power and he has absolutely noting to show for except a highway in the middle of the desert which has absolutely no value. What a disgraceful and pathetic creature. Thank you for this comment. Thank you for increasing my belief that there are good-hearted Eritreans, even if their number is very small. It means a lot to me. Trust me, it always gives me a lot of hope to see a positive, kind person from Eritrea. It might sound I am being cynical about Eritreans, but I am very serious and genuine. It is extremely hard to not give up on the belief that there are good-hearted, kind and well-meaning Eritreans. In my encounters with Eritreans and their online presence, the meanness and malice is out of this world (tesfa news and the comments under, madote and the comments under, Eritrean press, the many social media accounts under which they spread venom). Check recent post of Eritrean press on African ministers ministerial retreat in Mekelle. It is just shocking. Don’t know what to make of your comment, blame yourself for going to the sewage to look for something good. Like any other people we have haters, but they are not in the majority – you need to work on that perception. As much as I wish to believe that they are not the majority, I can not deny the glaring fact that I see: that most Eritrean websites and comments are just pure hate and malice. I look at awate, I see many of them; I look at the websites I mentioned, I find no single person without malice. I see young Eritreans, who were kindly, lovingly hosted, offered educational opportunities in Ethiopia and when finally they made it to the West, engaging in the most malicious hate speeches. You suggested I work on my perception. I am readily willing to wok on that. Now, where should I look for good-hearted, well-meaning Eritreans? Tell me, A.Osman, I need to increase that belief. 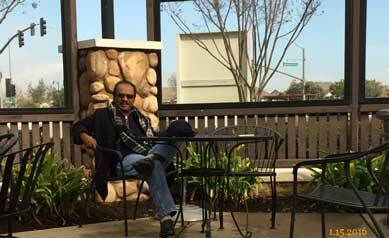 A.Osman, please help me find the good-hearted, kind, well-meaning Eritreans. Really you don’t need my assistance to work this one out, even if you count all of us who comment on websites, we represent a fraction of Eritrea. 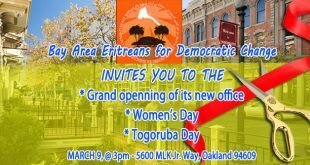 Let alone to talk about hate of Ethiopians or Tigrayans, if you were to visit Eritrea the contrast between the Diaspora and those in Eritrea makes you wonder if we can claim to be a mirror image of our people. 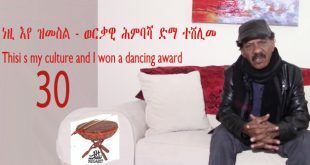 The cyberworld, especially forums strive on fights and insults, you will be disappointed if you want to know Eritreans. In a politically charged environment, you will find some who think insulting their opponent is doing some kind of national service. If you visit PFDJ affiliated sites, they allow and encourage tacitly such hate to spew as it serves their propaganda and it keeps their support base intact. Awate has a better balance on that, I am surprised that you think many here are haters, unless any sign of opposition to Ethiopian policy or Woyane is equated to hate. 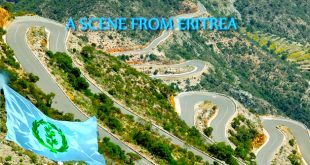 The best prescription for you would have been to recommend a visit to Eritrea (nothing like visiting the place), in the interim watch some of the films produced in Eritrea representing both traditional village and city life and see if there is obsession or hate of Ethiopia. I am sorry your experience has been negative and that you hadn’t a chance to meet and engage with many “good-hearted” Eritreans. I can’t give you the exact numbers, those people you encountered a in minority. I personally do not visit those websites and I have never been there. With regards to those people, I think they hate themselves more than they Ethiopians/Tigrawot. It’s the self hate that they have, spills out and they engage in such behavior. I know exactly what you are talking about, I even have my own cousins and relatives in that category. They just could never see a day without Isayas Afeworki, and they believe all the problems he creates are because of “Weyane”. They don’t even think and believe this guy is human like the rest of us, and that one day he will be gone by God or a person. 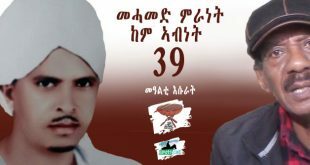 I have a cousin who simply could not believe that Isayas Afeworki can be sick / when there was rumor going around about his health. You mentioned Awate, I think to be fair I don’t believe the majority of awatista are in that category. I also find it a bit surprising you mentioned those Eritreans who were educated in Ethiopia and turn around and engage “malicious hate speeches”. I think if you look at our long history, I mean going back hundreds of years, we really do NOT have that much exaggerated killing, war that we can’t over come. Actually compared to many countries, for example Europe, between the British/ French, French / German, etc..we can say we really didn’t any problems at all. In all our existence, I think this period, between 1998 – until now is probably the most that we have been separated (I mean between people to people) and the virtual boarders. Right now, I can assure you majority of Eritreans do not buy “because of weyane and CIA” excuse from Isayas and his supporters as the reason for the mess our country and people are in. Yes thanks. At least that’s what I think, considering the long term price / labour increase as the country wages and living standards go up. It seems you don’t miss a chance to blame PIA for what ever problems develops inside Ethiopia. PIA was asked what he thinks about those meetings between Ethiopia, Sudan and Egypt, that have not produced any tangible agreements among the three nations to lift the threat of war in the region. So the man gave his opinion based on what he knew about the Renaissance Dam. You can accept his discussion with MZ in 1993 at the AOU meeting in Cairo or rejected it. There are no eye witnesses, to the conversation between the two leaders, unfortunately one is dead to accept or deny the fact what initiated to the inception of the dam and PIA is telling a story of what transpired the beginning of the Dam. Beyond that what ever you think about his malicious story is pure fiction. But one question that lingers about the dam is why is that an agreement have not yet reached between Egypt and Ethiopia, after years of negotiation (three Egyptian government (Mubarek, Morsi and Sissy) and two Ethiopian governments (Meles and Hailemariam)? When I listen and read, I do not stop at the words, sentences, or stories. I go beyond that to understand why it is said and what the intent is. I read the body language, the intonation, and the voice, the facial expression. More than the story, it is the intent that is evil and malice in the concocted story of the man-looking demon. Similarly, since I know your heart is filled with malice and spite towards Ethiopia and Ethiopians, I do not see the point of discussing with you on the question of why no agreement. Because I very well know that that is not a genuine question to know. It is simply the breath of a hate-filled heart. In Amharic there is a common saying “Abesha Miqegna, Miqegna yerasu Megagna” Ethiopia boasted of double digits economic growth and after 15 years, 20 million people are starving! Abyssinia figure it out what keep your country keep begging for food year after year. Of course, I did. I love it when prez Isaias, head of state and gov for 25 years, always criticizes his predecessor who made such a mess of things. Issu 2016 is very disappointed in Issu 1991-2015. 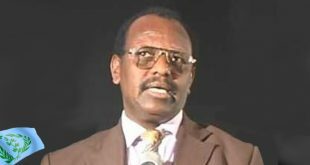 Zero tolerance is as old as PFDJ and its been just as barren: corruption is not just financial embezzlement: corruption is power abuse and misuse of public trust. None guiltier than Isaias on that count. Root of corruption as he explained is greed and none is greedier (for power) than the prez. IA translated Adam Smith’s invisible hands literally as Hibuue yEdaw. But he also wrongly translated Arab Spring, even he did not get it right in his literal translation. He translated it as Arabawi Qewee, but Spring in Tgriniya is tsidiya” or ayyet depending where you are from, Seraye or Hamassien respectively, the rest seasons “Qeween” of kremti,Qewee and haggai are the same in the 3 regions. 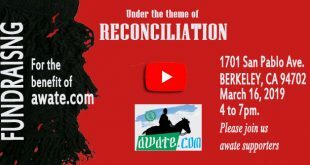 Qewee is harvest season, tsidiya or ayyet is immediately after haggai when the rainy krementi season starts with some rain and the green shoots spring. Nice to see good wishes/prayers and then many happy words flowing from day first of wishing get well soon to nice see you now in full swing back at Awate-com business. First: You (SJG) questioned why “afraid to even fly over”? when you “saw the flight path from Jeddah to Addis passes over Asmara. Like they say “everything happens for a reason,” your fear of emergency landing prospects opened the eyes of many travelling Eritrean Diaspora about the possibility of being ensnared on board of an emergency landing plane and then pulled off by the regime for ransom. This is a new business for the regime that is allegedly accused of many illegals. No doubt, every man has a weakness. But when it comes to Isayas’s weakness, he is not a forgetting person who reconciles. He doesn’t even seek to get even. He is for finishing the target by disappearance or by killing and destroying the body. SJG, you have to thank God for “no” emergency landing and falling a prey to the predator, who made Eritrea an awaiting hell to its Diaspora who feel like they are always hunted by a beast.